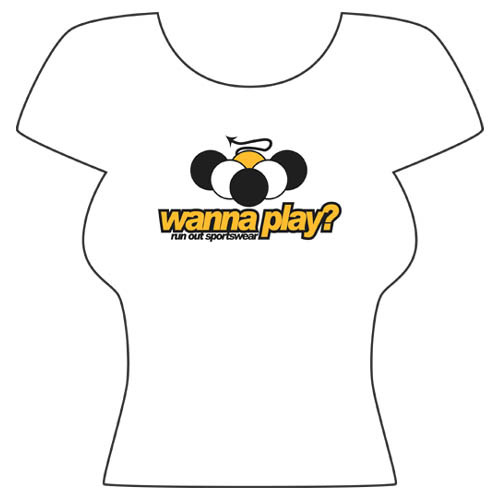 ôWanna Play?ö on white 1x1 ribbed baby doll cotton, crop-top. Made from 100% pre shrunk cotton. This shirt is available in small, medium, large and xtra large.